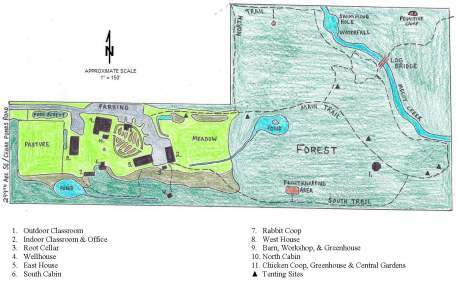 Alderleaf Wilderness College's campus is a 15 acre farm that has been implementing an intensive permaculture design plan since 2008. The site includes fish ponds, food forests, chickens, dairy sheep, superadobe earthbag root cellar, homes, cabins, and classrooms. The Alderleaf campus is nestled in the foothills of the Cascade Mountains. It is located above the Skykomish River valley between the towns of Sultan and Monroe, Washington, 30 minutes northeast of Seattle. Our 15 acre property is an evolving model of environmental sustainability. Most of our courses take place on site. 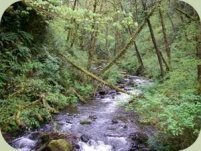 The forested portion of our land contains giant mossy cedar and hemlock trees, a large cascading creek, a diversity of wildlife, and several wetlands. It is adjacent to thousands of acres of forest lands with many lakes, streams, and mountains. We're fortunate to have the foothills of the Cascade Mountains in our backyard. 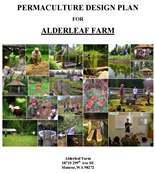 The Alderleaf land houses our classrooms and office, as well as our small farm which is integrating permaculture principles. 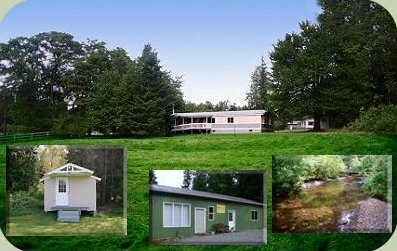 The farm includes two cabins, two houses, a large barn, beautiful pastures, ponds, garden space, chickens, and fruit trees. If you are interested in visiting Alderleaf, please contact us.